The centre of mountaineering in New Zealand is the alpine region of the South Island. The main focus remains Aoraki/Mt Cook National Park where the mountains are highest and the challenges great. 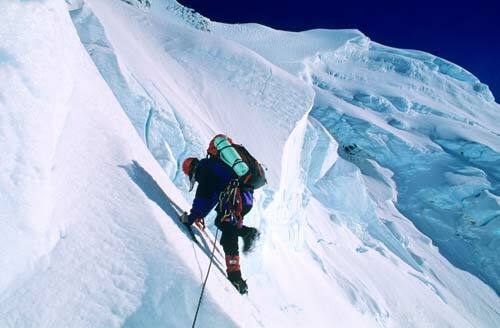 This climber is ascending Clarke Saddle between Mt Dampier and Mt Tasman.